The only thing worse than paying taxes is finding out that you have IRS penalties. You might end up paying hundreds or thousands of dollars in additional charges. But you could get out of paying these penalties completely or at least getting them reduced. Don't write that tax check yet. You may want to check with your accountant Las Vegas to see what you can do to reduce your tax burden. Meanwhile, this blog post will tell you about three common IRS penalties and the loopholes you can use to pay less money. Paying your taxes late is what is known as a late filing penalty. The fees added on top of the original debt can quickly add up if you're not careful. To avoid paying really high fees, ask for an extension if you know that you will need more time to pay your taxes. Note that when you file an extension, you will still need to pay your debt by the IRS deadline. If you get a late payment penalty for the first time, the IRS will likely not throw the book at you. If you went three years without getting a tax penalty, you might get what is called a "first-time penalty abatement." This means that you will no longer have to pay the penalty fees. But you can only use this loophole one time. As a business owner, you have to pay taxes and fees throughout the year. If you miss these deadlines, you'll get assessed a penalty. To avoid this problem, pay your estimated taxes on time whenever you're required. The only time you can escape paying this type of penalty is if you missed a payment due to circumstances such as a natural disaster or another unusual life event. To file an appeal, fill out Form 2210 and turn it in with your tax return. You'll also need to provide documentation that proves that you didn't have the ability to pay your estimated taxes by the deadline. Changes in the tax code removed the penalty for not having health insurance. However, these changes won't take effect until 2020. The only way to avoid paying this penalty is to qualify for an extension. Some of the qualifications include financial hardship, living out of the country or not having a long gap in health coverage. 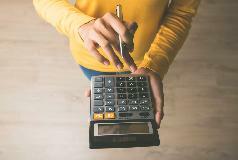 You could also reduce the penalty fees you have to pay if you can prove that one of the exemptions applied to you at some part of the past year.